How To Avoid High Burn Rate In Startups? A startup is always a risk, hard work, and constant investments. Even if you have the unique idea and a high-quality product, there is always the possibility of failure. One of the most common reasons why startups fail is unconstrained burn rate at the early stages. Founders tend to lose track of where their operating capital is going, combine this with poor management and the result usually leads to a rather ‘sad’ ending. The solution is simple: Your startup is a vehicle and money is fuel; don’t run out of fuel (money) until you reach the next gas station (positive cash flow). Burn rate is a key term that every entrepreneur should be familiar with. To be brief, “burn rate” is the amount of money a company has to spend each cycle (burn) to stay alive before generating sufficient cash flow. There are 2 main reasons why knowing your burn rate is fundamental. #1 A detailed report of burn rate and cash flow will serve as the basis for creating effective strategies to prevent excessive expenses and foresee how soon you may run out of money. #2 Tracking your cash ‘runaway’ is also crucial for the reputation of your startup, especially if you need additional funding rounds in the near future. If potential investors sense poor money management decisions (i.e. your burn rate grew at the speed of the light when there was no revenue), they definitely won’t invest into your startup. In other words: ”GAME OVER” unless you have absolute control over your funds from the beginning. Find the difference between the seed capital (or initial investment) and the ending balance of these funds for the selected period. Divide the total amount of money by the number of months in the selected period. Voilà! This is your burn rate per month. If you have a startup, you should definitely consider outsourcing. Due to the advancement of modern technologies, managing a remote team is much easier than it was just a few years ago. You will have the job done quicker and will reduce your spendings by at least 30% versus if you were to hire a local team. Just look at Zapier, GitLab or HubStaff. These companies have employees all over the world. They started their journey as an average startup. However, due to the absence of expenses such as in-house team somewhere in North America with a high hourly rate, 0% of spendings on office and furniture, they have managed to reduce the burn rate and save money on their further development. An MVP is a minimum valuable product with a basic set of features to grab the attention of early adopters. It is the best way to test the product and avoid huge investments on projects that are doomed to failure. Many companies, like Uber and Dropbox, started exactly with the MVP and now they are known all over the world as leaders in their niche. Here is how Uber’s interface looked like in 2010. It was a humble mobile application focused on the user in San Francisco. There were no features like live-tracking of drivers, fare splitting or automatic credit card payments. Uber started its way from the simple beta version and minimum of unnecessary expenses in order to avoid high burn rate and collect the feedback of clients. Currently, It is the top-notch riding application stuffed with all the needed options to make your trip safe and fast. In other words, it is a brand leader, bringing value to the users and generating stable revenue as well. You save not only time but funds, avoiding large capital losses. Test the level of demand for your product before you launch a full-fledged product. Analyze the behaviors and preferences of your target audience. You have a clear picture of what works and what doesn’t work. When you have gathered all the necessary information and identified the weak side of your product, you may change the features and even the whole concept in order to meet the requirements of your ideal buyer. As a result, you will be able to do smarter investments once it’s time for the real launch with larger funding. If you don’t want your burn rate to skyrocket, you should track (or at least try to estimate) the ROI of each investment. As a rule of thumb, each expenditure of money should have some form of capital return in the near future. This is a tricky concept because sometimes it’s hard to measure the return on assets. For example, a high-quality engineer could become a great asset if he is able to develop the “additional feature” that your product lacks, but it can turn into a negative ROI if they don’t bring results. Higher productivity increases ROI, but be smart about it. An office desk which costs $10.000 is not 20 times better than an office desk that costs $500. Make sure to invest into tools that make your team more productive to generate revenue. For example, if you work in a big team of developers and freelancers, you need a management tool like Trello. In order to automate the work and get all your tools integrated, you can use Zapier. Another useful tool is Insightly, it can help you to significantly accelerate sales. In addition, we can recommend you Slack, G Suite, Gitlab, Google Analytics, and Flurry. However, in order to enhance ROI, you should not purchase and use all the possible tools, only those that will simplify the workflow and meet the needs of your team and exactly your startup. When you have a startup it is crucial to track your expenses, if you don’t want to go broke. You should identify your spending weaknesses and gain an absolute control of your temptations and desires. Not everything you want to purchase might bring your startup to the next level. For you to understand the importance of smart funds management let’s look through one of the best examples of ‘bad idea, but bad execution’. Beepi, a car buying and selling platform, was bound to succeed. It was in Forbes’ list of the top 10 hottest startups in 2015. Nevertheless, Beepi failed and became known as the classic story of startup failure. The absence of organizational management and control of cash flow contributed to the end of this brilliant idea. The enormous amount of money was spent on the salaries of co-founders. Moreover, there were capital losses on ridiculously expensive furniture and many more. Eventually, Beepi collapsed and became a one more lesson for young entrepreneurs. 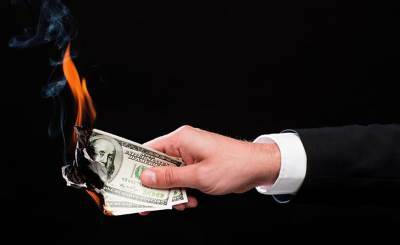 If you do not track your expenses and do not pay enough attention to the cash management, be prepared that your startup will fail from the overfunding and high burn rate just like Beepi. Cooperating with Tavo Tech, you will have only positive experience and visible results. We know how to keep your startup aloft and prevent the high burn rate. First, we can create for you a dedicated remote team of the top-notch Ukrainian developers that have a certain experience of building products in particularly your industry. You will save a lot of cash, as far as the team will work on your startup already fully equipped with all the necessary software and tools, in the cozy office just in the very center of Kiev. In other words, you will invest directly into the development of your project without any extra fees and expenses. Secondly, in order to reduce the burn rate, your Tavo Tech remote team will develop an MVP to test your product, help identify its weak side and advise on how it can be improved. As a result, you will eliminate the risks, reduce the percentage of failure and will be able to save money on the development of the final version of the product. In addition, we will share with you some more effective strategies on how to reduce the burn rate and reach your goal with the minimum of unwanted and unnecessary spendings. Do Not Hesitate To Contact Us For Free Tech Consultation. This entry was posted in Development and tagged Burn rate, Remote team, Software development, Startups. Bookmark the permalink.